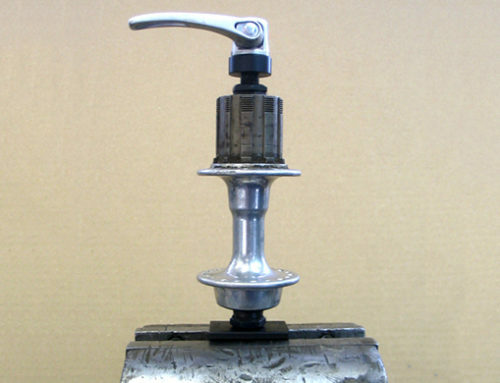 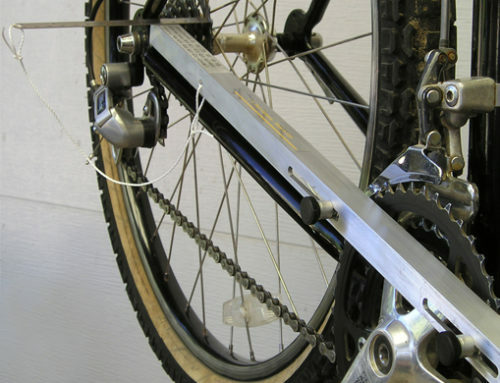 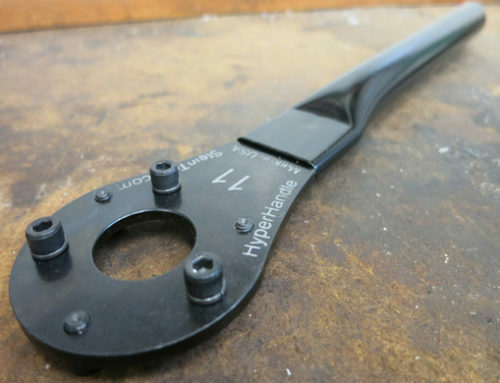 This tool was originally designed specifically for lockrings of open bearing bottom brackets. 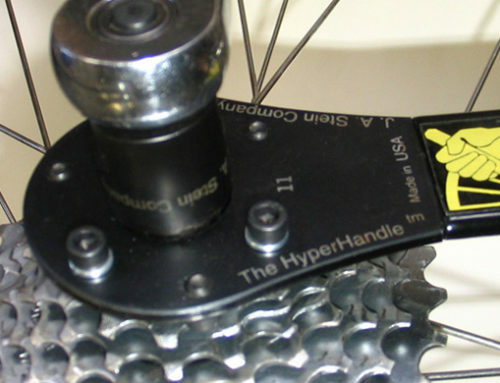 It is so easy to use and prevents the hook type tool from slipping off the lockring and damaging the ring and/or the finish of the frame. 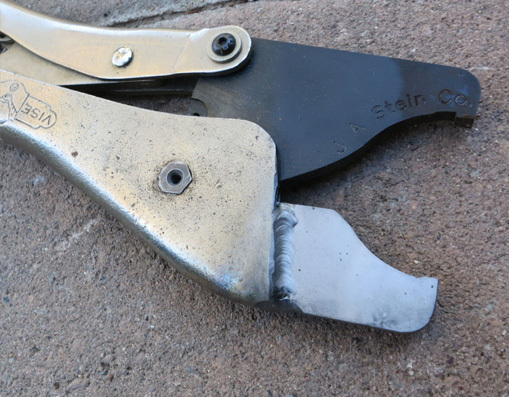 The hardened steel jaws are concave to keep them centered on the ring, as well as being locked together with the vise grip action of the pliers. 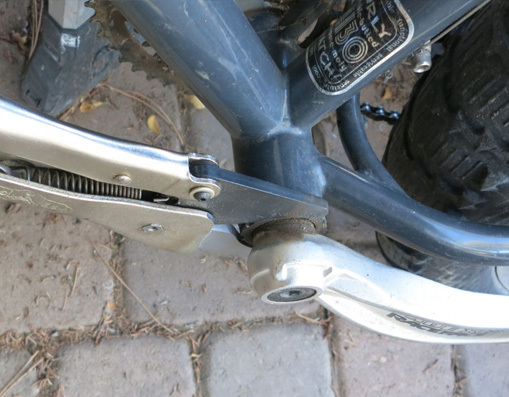 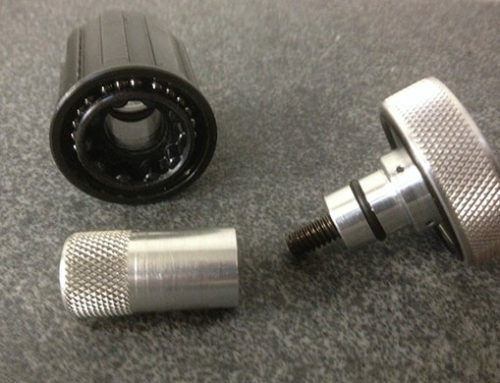 These unique features allow very precise adjustments to the bearings. 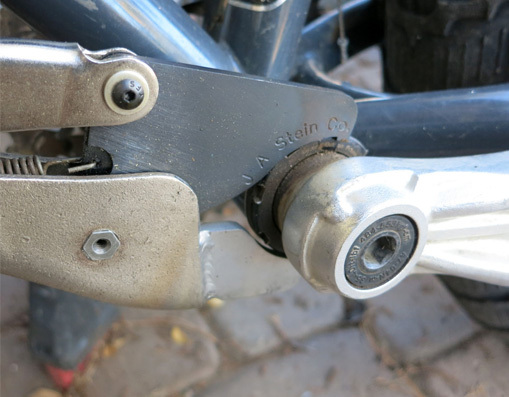 This tool has found many other applications around the bike shop, including the removal of headset lockrings of various types, and the lockrings of fixed gear hubs which can be difficult to remove using a hook type tool.